A-HOTEL.com - Luxury and cheap accommodation in Krasnyy Ugolok, Russia. Prices and hotel, apartment booking in Krasnyy Ugolok and surrounding. Located in Orenburg, Bukhta Radosti provides barbecue facilities. Staff on site can arrange airport transfers. Situated in Orenburg, Appartment on Gagarina 43/3 provides accommodation with a balcony and free WiFi. Guests staying at this apartment have access to a fully equipped kitchen. Apartamenty Gagarina 35 is situated in Orenburg. The accommodation has free WiFi. Situated in Orenburg, Гостиница Браво provides air-conditioned rooms with free WiFi. Boasting a 24-hour front desk, this property also provides guests with a barbecue. Apartment on Gagarina 33 is situated in Orenburg. Guests staying at this apartment have access to free WiFi. Set in Orenburg, Апартаменты на Геннадия Донковцева 13 features accommodation with a balcony and free WiFi. Guests staying at this apartment have access to a fully equipped kitchen. Apartment on Gagarina 27 is located in Orenburg. Guests have access to free WiFi. Situated in Orenburg in the Orenburg region, Apartment on Gagarina 27/6 has a balcony. Guests can enjoy the free WiFi. Situated in Orenburg, Apartment on Gagarina 27 provides air-conditioned accommodation with a balcony and free WiFi. Guests staying at this apartment have access to a fully equipped kitchen. Set in Orenburg in the Orenburg region, Апартаменты на Ул. Геннадия Донковцева 15 features a balcony. 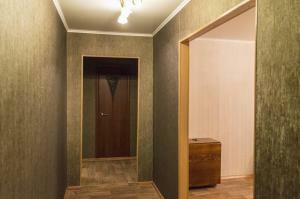 Apartment Gagarina 25 offers accommodation in Orenburg. A flat-screen TV is featured. Boasting air-conditioned accommodation with a balcony, Апартаменты на Донковцева, 5/1 is situated in Orenburg. Guests have access to free WiFi. Однокомнатная квартира на Донковцева is located in Orenburg. Guests staying at this apartment have access to a fully equipped kitchen. Featuring free WiFi, Hotel Rostoshi offers accommodation in Orenburg. Guests can enjoy the on-site cafe. Boasting air-conditioned accommodation with a balcony, Однокомнатная квартира is set in Orenburg. Guests staying at this apartment have access to free WiFi. Featuring accommodation with a balcony, Квартиры посуточной аренды is situated in Orenburg. Guests are welcome to enjoy the free WiFi. Located in Orenburg in the Orenburg region, Алтайская 2/2 (СКК Оренбуржье ) features a balcony. Guests staying at this apartment have access to a fully equipped kitchen. Featuring a daily continental breakfast, garden and 24-hour reception, Hotel Zoryanka is quietly located in Rostoshy Poselok. Free parking is provided, and elegant rooms offer a flat-screen TV. Situated in Orenburg in the Orenburg region, Apartment Rantie Gagarina 3 BDR features a balcony and city views. This property offers access to free WiFi.